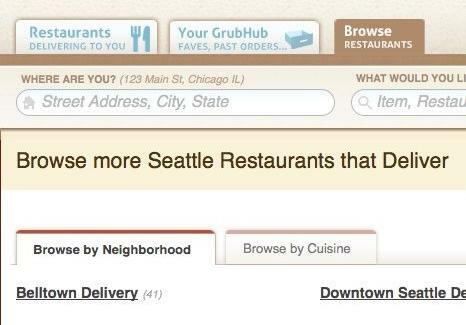 Already listing 3,000+ spots nation-wide, this just-launched-in-Seattle service's aiming to list every local spot that'll deliver to your address/prevent you from ever having to get dressed again (plus let you view delivery menus, reviews, and available coupons); the 217 Seatown restos currently listed are also searchable by neighborhood, type of food, or college, among which they've mistakenly included SPU (ohhh snap, Seattle Pacific! Your academic rep just got manhandled! ).